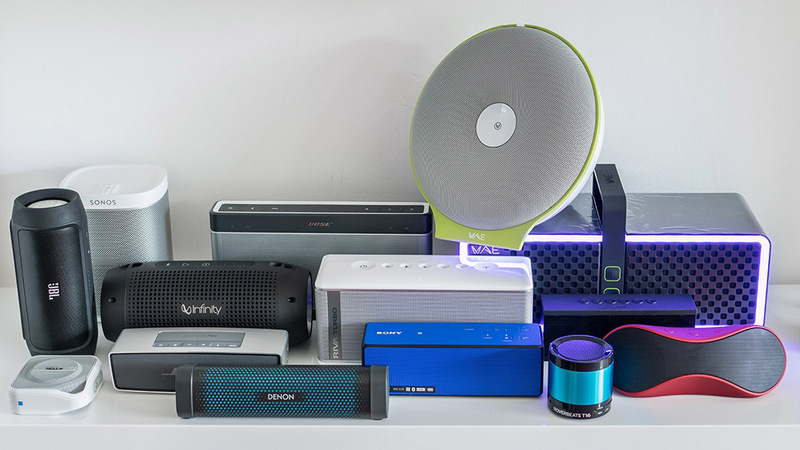 One might think "not another Bluetooth speaker" every time a new model is announced. Indeed the whole Bluetooth speaker market started becoming quite a bit boring. There are units costing less than 20$, others costing close to 1000$ or even more, colorful ones, swimming ones etc. 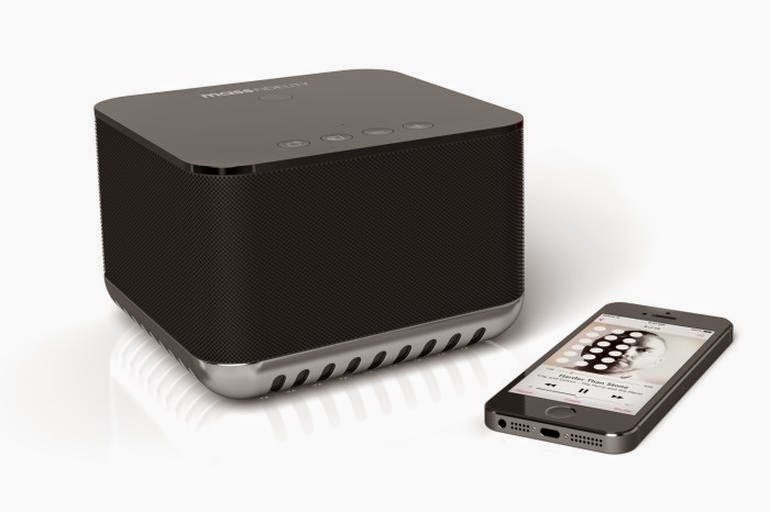 But two recently announced Bluetooth speakers managed to catch my attention. They are both portable, which means they will run from a rechargeable battery, and they are both pretty compact to really deserve the term "portable". The first one is revolutionary in the Bluetooth speaker market because it is the first portable electrostatic speaker. 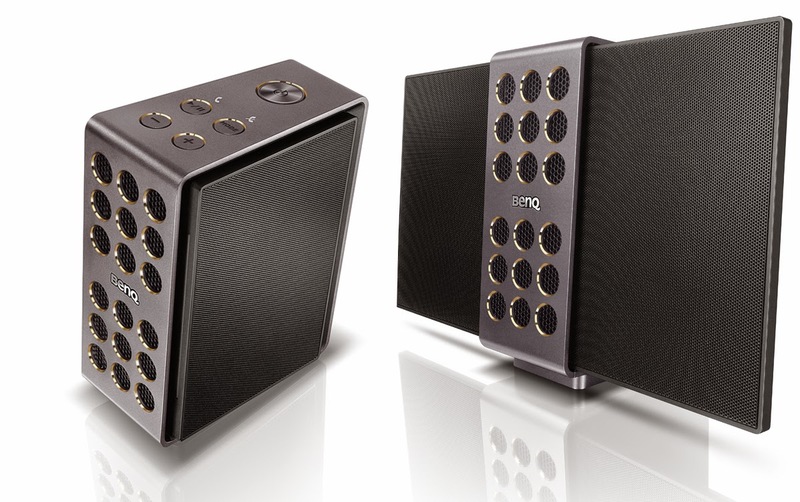 It is called eVolo and comes from a company which is rather known for their video projectors: BenQ. If executed well, this might be a pretty good sounding speaker I guess. The "ears", which are the electrostatic drivers can be folded in for transport, or folded out for better sound dispersion. 2 bass drivers including 2 passive radiators are responsible for the lower frequencies and all drivers are driven by 4 amplifiers with additional DSP-processing delivering 40 Watts total. The other revolutionary speaker comes from Mass Fidelity and manages to include some pretty unique techniques to stand out of the crowd. It is currently still on Indiegogo but has already reached much more of the original goal. You can still pledge to get one for 389$, or wait until the unit reaches the market and will cost 599$ then. According to the manufacturer the Mass Fidelity Core applies "wave field synthesis" to be able to create a kind of acoustic holography for real stereo sound out of a single box which isn't tied to any sweet spot. I am not sure how much of these claims can be called Voodoo, but real specs indicate that this small speaker has 4 drivers inside and an additional down-firing subwoofer which should play down to 44Hz. The whole unit contains several DSPs and additional processors with an amplifier delivering 120 Watts. Quite impressive for such a unit that should also play for 12 hours from one single charge. Other features include wireless pairing of up to 9 Cores to allow multiroom without any hassle with network configurations. Thanks to the big success of the Indiegogo campaign Mass Fidelity meanwhile announced an additional wireless subwoofer too. Some prototype units were already shown to various representatives and all seem to have remained impressed. I would really love to try out this little Voodoo-machine, if I had the chance! interesting for sure, looks simiar to the MassFidelity's concept, although different form-factor and maybe more focused on "home theater" than music? Looks sort of like a knockoff of the Core, but it looks like they were in production on this thing for a while. It's also cheaper than the Core and comes out sooner, I'll be interested to know how people react to it. These are some cool Wireless Home Theater System. I was looking around the top this. This will help me a lot. Thanks.